Welcome to the second part of my post on the “best” self-study language method! You might remember from the previous post that I told you that the best way to find the right match for you when it comes to a language method is to know your personal learning style. Do you like grammar? Do you like lengthy explanations in your native tongue? Do you prefer a focus on listening, speaking, or reading skills? Do you like colorful pictures? These are the kinds of questions you can ask yourself to help you choose what will be the right fit for you. If you are a first time language learner, don’t worry. At this stage, the best thing to do is to go through a process of trial and error, and the reason I’m writing reviews of language methods here is to help you make that choice and reduce the number of “errors” in the process. Have a quick glance at all of the methods I’ve written about, and think about what sounds like a good match. Nothing bad will come out of it! So in today’s post, we’ll look at three additional methods: Pimsleur, Michel Thomas, and Living Language. Ready to dive in? Average cost of the method: around $35 for sixteen 30 minutes-long audio lessons. Around $200 for the “comprehensive series”, which includes thirty 30 minute-long audio lessons and one hour of reading instruction. Type of method: Audio-only method (in 30 minute-long lessons). Listen to words and dialogues in the target language and repeat. Chances are you might know Pimsleur from the amount of spam their affiliate marketers tend to send in your email inbox, with catchy titles such as “Learn a New Language in Only 10 Days!” This rather disappointing fact has somewhat, in my eyes anyway, tainted the reputation of this method. Anyone who makes a statement as bold and ridiculous as saying that you can learn to “speak” a language in 10 days probably has no idea what they’re talking about, or, just perhaps, they really want your money badly. Now, before we delve into the pros and cons of the method, though, let’s take a look at what Pimsleur actually is. 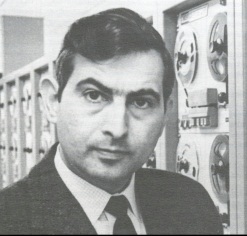 Pimsleur is almost exclusively an audio-only method, offered in over 50 languages (including English for native speakers of various other languages), and the method was developed by Paul Pimsleur (1927–1976), who was a scholar in the field of applied linguistics. Pimsleur comes in a variety of programs, which you can have a quick glance at here. The programs are as follow: Quick & Simple, go Pimsleur, Basic, Compact, Conversational, and Comprehensive. The 4 first programs are really quite short, and do not cover more than a handful of lessons (10 at most, or 5 hours of audio). The comprehensive program, depending on the language, can be offered in as many as 4 levels, each level comprising 16 hours (16 CDs) of spoken language instruction. The way Pimsleur works is rather simple. At the beginning of each lesson, you get to hear a short dialogue (~2mn) in the foreign language you’re studying. At the beginning you do not usually understand much of it. However, after having listened to that dialogue, the next 25 or so minutes are spent covering the words and phrases that you heard in that conversation, plus some more. You are strongly encouraged to listen to the speakers and repeat after them. If you’d like to listen to a free lesson, click here to see their list of languages and simple follow the “free lesson” link. Now for the good part: Pimsleur is undoubtedly an easy and convenient way to start learning a language, especially if you want to focus on listening and speaking skills. What I especially like about it is that it’s a great method to work on while commuting to school or work. For example, if you drive every day to work, and it takes you 30 minutes to commute, you’ll be able to go through one lesson each time you get to work. The speakers are also very professional, with a clear, neutral pronunciation, and you really do feel like you progress quickly while going through the lessons. The other good thing is that it’s really easy to follow through. Many beginner language learners are kind of afraid of books and grammars and boring concepts. Pimsleur says adios to all that. Really, all you have to do is listen comfortably to the speakers and try your best to repeat after them. New words are also repeated many times, so chances are they will end up sticking in your long-term memory without too much effort on your part. Finally, the lessons progress at a reasonable pace, not too fast, and not too slow either (although I’ve heard some complaints from people who feel the lessons progress too slowly, but I’ve found the pace to be good enough, since new words and phrases really stick in your memory). Now for the bad part: well, let’s not lie to ourselves, Pimsleur is an expensive method. For most of us, this is a strong influencing factor when it comes to making the decision to purchase a language method. If money is not an issue, I’d say sure, give it a try. But before spending $200 on thirty 30 minute-long audio lessons, shop around to see if this money couldn’t be spent in a better way (i.e. any of the other methods in this post and the previous one). Also, as you might know by now, Pimsleur is an audio-only method (although the “comprehensive” program does include a PDF or a booklet). This means that you will definitely not be developing your reading and writing skills through this method. That’s OK if this is what you’re looking after, or if you’re looking for a method specifically suitable for listening on your MP3 or while driving to work. However, if you do wish to focus on reading and/or writing practice early on in your language studies, consider purchasing another method. Average cost of the method: ~$75 for the Total Series, which includes 12 hours of audio on CD. Type of method: audio-only method. Listen to a live lesson given by a teacher with two additional students, and repeat after the teacher. 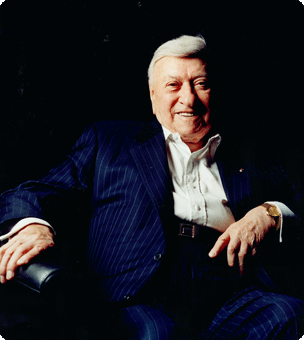 The Michel Thomas method is a cheaper alternative to Pimsleur, but that doesn’t mean the quality suffers in any way; it’s simply a different method. While it’s also an audio-only language learning resource, it differs from Pimsleur on a few important points. Basically, the way the method works is that Michel (or the teacher teaching the language) and two students are recorded in a live lesson. Words and sentences and introduced with explanations, and within one hour you are expected to be able to construct simple phrases. You will learn the language with the students, hearing both their successes and their mistakes to keep you motivated and involved throughout the course. For example, in the Michel Thomas Spanish series, they will tell you that “Pablo is sick today” is “Pablo está enfermo hoy” in Spanish, and that “Pablo is a sick person” is “Pablo es enfermo”. So you are supposed to infer here the difference between the verb “está” and “es”, both meaning “to be”, through such examples (of course, you will have been exposed to these verbs and vocabulary prior to hearing those example sentences). Michel Thomas is, overall, a great method that I would not hesitate to recommend. I think the strength of the method lies in its progressive building up of ready-to-use vocabulary, sentences, and expressions. They really try to give you all the tools necessary to enable you to make your own sentences as soon as possible, and to be ready to actually talk to real people. You do not get the kind of useless sentence such as “the elephant is behind the ball”. The use of mnemonics is also something I personally find useful. It might not be to everyone’s liking, but I find that it really does help with the memorization of vocabulary, which is often something many students of foreign languages struggle with. Lastly, since real students are involved in the recordings, the pace is realistic, and useful questions that a normal language learner might have when going through the process of learning a particular foreign language are often asked. The most obvious bad side to the Michel Thomas method is its availability in only 12 different languages (13 if you include Hindi, which was made available recently in the “Start” package. So, for example, if you are looking into learning Korean, you’ll have to unfortunately look somewhere else. Other than that, if you are a very fast learner or you have had prior exposure to the language you’re studying, you might feel that the pace of the method is a bit slow. As stated before, since real students are involved in the recordings and they themselves go through the method with the teacher, you are tied to their pace of learning. You might also not be that interested in actually listening to the attempts of the students at repeating and translating after the teacher. Finally, just as with Pimsleur, because Michel Thomas is an audio-only method, you will definitely not be developing your reading and writing skills. However, it’s great for listening on your MP3 or while driving to work. Type of method: all-encompassing method mostly available in print (+ online courses through their platinum program), which covers vocabulary, grammar, and more through dialogues and exercises. The Living Language series comes in 3 products: Essential, Complete, and Platinum. The Essential courses are meant for beginners. The package has one book and 3 CDs that teach basic vocabulary and grammar. The Complete courses cover beginner, intermediate, and advanced levels. The package has three books and 9 CDs that teach more complex grammatical structures and more vocabulary than the Essential course. Finally, the Platinum courses contain the same content as Complete but with the additional tools of a language specific mobile app, a web course, and e-Tutoring included. The Living Language website has a page with free downloads for PDFs in over 7 languages, plus phrasebooks in 12 languages and more. Check it out if you’d like to get a quick overview of what their method looks like. It’s easiest to learn and remember a new language when you use more than one sense. The combination of audio and visual input, along with written, recorded, and interactive digital practice, creates a true multimedia learning experience that actively engages you in your new language right from the start. In addition, special recall exercises move your new language from short-term to long-term memory. This particular method is a bit more “all-encompassing” than the other ones we have looked at so far, with vocabulary lists, dialogues, many more grammatical concepts and explanations, comprehension practice, plenty of exercises, culture topic, and so forth. If, as the description of the method taken from their website suggests, you do not like “guesswork”, or, shall we say, learning in a more inductive manner, this method might be the right one for you. In this respect, Living Language differs quite dramatically from Assimil (see previous post for a review of that method). Below, you’ll see an example taken from their Korean series, to give you a quick idea of what the method looks like. The Living Language method is extremely affordable and, on the whole, very thorough. If you have a look at the reviews on Amazon for their methods, you’ll see that most of them are 5 stars. From my personal experience using many different language methods, Living Language is definitely very professional, easy to go through, and affordable. I had been looking for a long time for a good Korean language method, and when I stumbled upon the Spoken World Korean series (made by Living Language), I was pleasantly surprised. Depending on the type of learner you are, Living Language might not be the right fit for you, since it contains lots of explanations, grammatical concepts, and, as such, a lot of English. However, this is what a lot of people are exactly looking for. This is a more “traditional” type of method, and if you feel this is the right fit for you, go for it! Lastly, in the Korean series, I must say that I found the pace to be quite fast. From the very first chapter onwards, a lot of vocabulary and sentences are introduced. However, I do not think this particular book is representative of the whole method. In doubt, look for reviews or download their free PDFs, and make a decision based on your own observation! Well, that’s it for my review of what I consider to be some of the best self-study language textbooks/methods out there. I hope this has been useful to you, and I’d love to hear your feedback in the comments section. Also, let all the community know what has worked for you in the past with which particular languages. Thanks for the overview, Sam! I’ve heard of many of these products but before your round-up I wouldn’t have said I know much about most of them. Only Teach Yourself and Pimsleur are available for Vietnamese, and probably not worth it for my level, but I’ll definitely come back to this review if/when I take up a new language. Thanks for your comment Ruth! Vietnamese looks like a very interesting (and hard!) language. How long have you been learning it for? I have very fond memories of my travels across Vietnam back in 2009. It’s a really fascinating country, very dynamic and fast changing. Living Language does have an “in-flight” audiobook series for Vietnamese, but it’s not a textbook or anything like that. Yes, Vietnam is still exactly as you described. Though I’ve been living here for 2 years I suppose I’ve only spent around half that time actively studying. Vietnamese does looks complicated, but the grammar is pretty simple and it’s very phonetic (even if those sounds are kinda hard to pronounce). Hi Sam. I’ve just discovered Lingholic and I’m very happy with this. This is a wonderful and motivational blog about language learning. 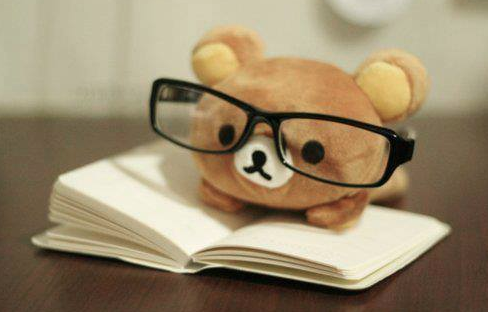 Which do you think that is a good method of “advanced learners” for pass an exam? I mean, because lamentably in today’s world, we must to pass an exam for certificate our fluency “of” the language and knowledge “about” the language. And, there’s a big business of language teaching. Thus, I think that is not possible to acquire a C2 level in the street because it is a academic thing (created). We are lost with Cambridge books. What do you think? Hey Francisco! First of all, thanks for your kind comment! My personal opinion on the matter is that past a B2 level, textbooks are not a very useful nor practical thing (there are exceptions). Depending on the test you are aiming for, I encourage you to simply completely immerse yourself in the language you will be tested in. For example, if the language you are learning is English, read the news in English (never in your native tongue), watch movies in English, talk to people in English (say, over Skype, you can check out http://www.italki.com), think in English, write a blog in English, make YouTube videos in English, etc. This will teach you what no textbook can ever teach you: natural, native-like English expressions and grammar. before you know it, you will truly think and express yourself almost like a native. You will also considerably expand your vocabulary by learning through context and repeated exposure. You will also internalize the grammar without having to actually study the rules. On a side note, if you are passing an exam that has very specific grammatical questions, then of course it would be advisable to study grammar from a textbook (for example, the extremely boring “Grammar In Use” textbook). Otherwise, there are literally thousands of textbooks dedicated to exam preparation, but I would personally avoid them. Hi Sam and thanks for your overview. I would ask you some advice. I’m Italian and I’d like to speak a little English. I almost finished the second wave of Assimil method (B2). My reading skill is improved, but I can’t speak English at all. I thinking that maybe a Pimsleur course is right for me but it’s very expencive and I afraid to waste my money if it doesn’t work. What do you think? First of all, let me say that your English looks pretty much perfect! Congrats! Otherwise, I think the issue you find yourself in is very common among intermediate language learners, and the reason is quite simple really; it’s probably because you haven’t spoken much English that you can’t speak it. I would really encourage you to get some language exchange partner or private tutor (try http://www.italki.com, for example), and start speaking English at least 2 to 3 hours a week. You can find some tutors for as low as $7-8/hour, so it’s quite reasonable. Otherwise, since you are now at an intermediate stage, I would recommend listening and reading to as much native material as possible. This includes blogs in English, movies in English, news in English, books in English, etc. You really need to start immersing yourself in the language so as to start THINKING in the language. I think that with your current English skills, a Pimsleur method or whatever would not be very useful. I must say I disagree with your opinion. First of all, I believe that we all learn differently. I have no doubt that of all the methods you have tried, Michel Thomas has proved to be the best method out there for your needs and learning style. I’m sure you know yourself as a learner better than anybody else. However, there is a pitfall in attributing your success in language learning to something conforming to a natural, universal process. own learning and that of their best students. Second, it accounts for much of the disappointment experienced by these same teachers, or by others who adopt their methods, when the methods fail to work with all students. Finally, it has left many unsuccessful students feeling that something is wrong with them. For some of those students, at least, their nature was simply different from what the deviser of the method had assumed it was. In brief, I think that I as pointed out in the beginning of Part 1 of this article, different methods work for different people, and as such there are no “best” methods. first of all i’m keen on “self-studying” languages and teach people to self-study. i try tons of “methods” on any other language that i’m trying to master and collect and share my experience with others. then discuss with them about their opinions and up-n-downs on their path. so, i’ve tried all above-mentioned methods and much-much-much more (btw, suprised that you didn’t include Rosetta Stone!) and than compare my impression with my counterparts. thomas showed the best results in ‘benchmarking’ (if i can say so) SPEAKING abilities. using other methods students achieve ability to read or comprehend but they more than often remain mute. that’s the only thing i’ve tried to say in short above commentary. Well, once again I understand that it is your conviction that Michel Thomas is the best method out there for speaking, and it’s great if it has worked well for you. I’ve tried it out and I quite liked it, but it’s not the method that has worked best for me based on my learning style (I also prefer to be able to read as well as listen). I know a couple of hyperpolyglots who speak 10+ languages and who find Assimil to work best for them. They learn with Assimil right from the start, with no prior knowledge of the language. Others have found Teach Yourself to be the best. In short, different people find different methods best for their needs. Anyway, always good to hear other people’s opinion on the subject. Are you a language teacher by any chance? What is your mother tongue and how many languages have you studied? P.S. I will make a review of Rosetta Stone in the future. I will soon open a new page on my blog with review of major language learning methods. i see what you mean. and i’m also mentioned that those who already have some experience in mastering language can find something more suitable for them personally. but that just won’t work with newbies who even don’t know what to do. and my personal conviction is that it’s better to start with thomas, begin to talk, to ‘feel the language’ and only after that try to read, show interest in grammar (not my piece of cake, though) and so on… and here enters assimil. i’m not a language teacher, i’m kinda… tutor. i set short courses for those who try to learn a language to show them that they actually DON’T need me to learn it. that’s all. i’m from russia and after russian i learned (more or less) english (never tested, but i expect smth around C1), german, italian (both b2) and now sometimes learn french and chinese. also i had some knowledge of polish and serbian, but as they’re quite similar to russian I needed much more time to abolish all those clumsy moments when you learn similar languages, and there’re tons of them and it’s not fun and all, so i gave up. and only read sometimes on them. actually i never set a goal for myself to MASTER it. and i also never spent much time (at least the amount it needs to) on learning. some listening here, some reading there and – bang! – you already can read ‘french internet’, immerse yourself in another culture and so on. that’s much more interesting for me. I truly hate Michel Thomas method. If it works for you great, but IMO it is really bad (tried Italian/German). The guy is so old he seems to be constantly out of breath and he doesn’t pronounce as clear as a native. You’d need to pay me to use that. i truly consuder this as pro rather than con. and that’s why: never, NEVER in my life i had heard someone who spoke as i had been taught. i had been learning english for ages, then i had began watch “the wire” and was amazed how little i understand. just because of hearing. how he says it is not important. what he says – that what matters. lexic chunks are far more important than his pronunciation. Great review! I am now a big fan of the Michel Thomas method for French and I look forward to using it for other languages too. 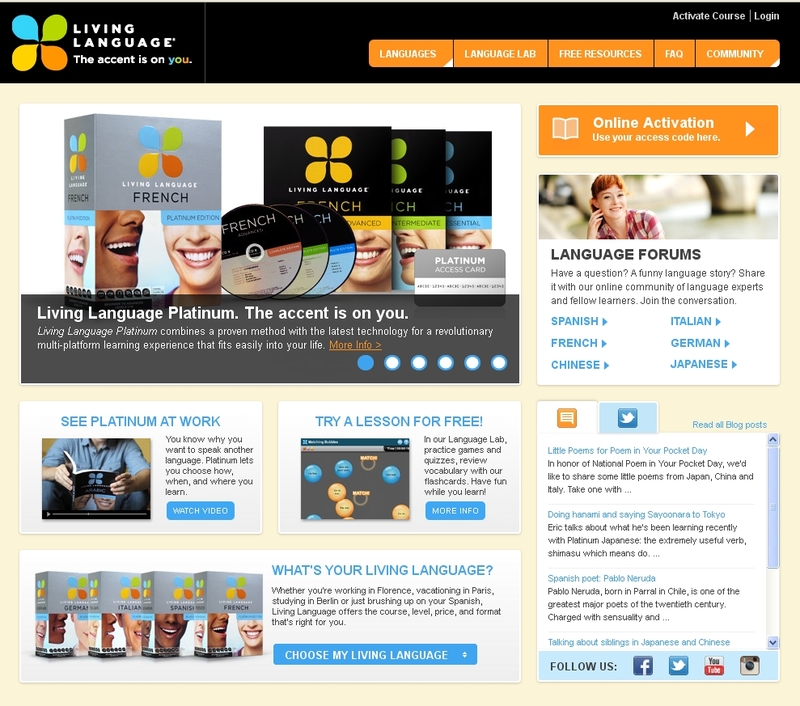 I use Living Language Italian Platinum and I like that I have access to their online resources. Hi – I just wanted to comment about the Living Language Korean course, based on the book excerpt you posted. I studied Korean at the US DoD’s Defense Language Institute, and one of the first rules was “never Romanize the Hangul”. You’re supposed to learn to read it immediately, because using Romanized text early on (or ever) is a crutch that is detrimental to progress. It kind of surprises me to see it used in a serious learning program. It makes sense for someone just trying to get around, but for actually learning the language, it’s completely pointless given how easy Hangul is to read. Also, if you go straight into reading Hangul under the instruction of native speakers, you’ll realize that no Romanization system (McCune–Reischauer, etc.) looks quite right. Hi Eric, thanks for your message. As you may have noticed from the excerpt of Living Language Korean that I put in this post, the Korean is not romanized but indeed written in Hangul. You are absolutely right, it simply doesn’t make sense to learn Korean through romanized characters. 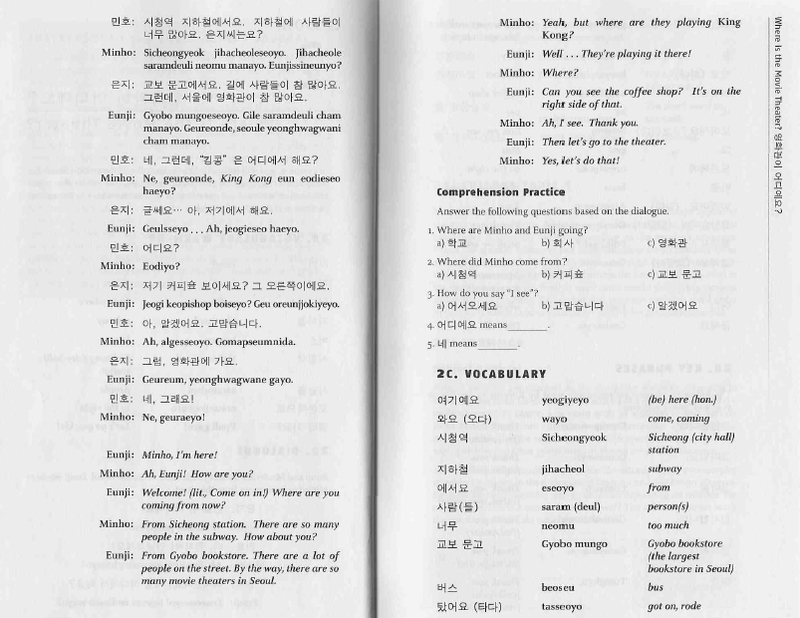 Which textbook have you found that romanized everything? I love ASSIMIL, PIMSLEUR, MICHEL THOMAS and finally DUOLINGO. These are my favorite 4 methods. They are so enjoyable and efficient. I love the first three, but personally I’m not a big fan of Duolingo. Which language(s) have you been learning? My first language is Portuguese (Brazil). I’ve learned English on my own and now I’m learning French. I’ve learned some Spanish too, but I don’t like studying multiple languages at the same time, so I’m gonna get fluent on French before returning to Spanish. If you’re on a budget, check with your public library. If they don’t have what you want locally, you can ask to get it via interlibrary loan. Nearly every public library in the world is part of a network, and they’re willing to share their stuff for a small fee (usually $3-5 per item). Yes, that’s great advice. Usually local libraries will have a lot of great language learning resources that can be borrowed for free. I’m learning English by myself and I think I’m in an intermediate level, so I still have a lot of work to do yet, hehe. I recently ”met” this methods and I can’t decide for one. I noticed that the cheapest method it’s Living Language. But I’ve seen that Teach Yourself series and Assimil series are very good. So I don’t know which of these series you recommend to learn Japanese, Hebrew, Hindi and Italian or Do you recommend other methods for these languages? I need some grammar (more than audios) to make my own sentences and post them in forum for corrections.